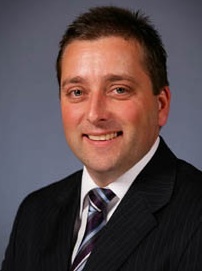 On 20 July, DCSCA and other members of the nine-strong Affiliation of Bellarine Community Associations (ABCA) sent representatives to central Geelong to meet state Planning Minister Matthew Guy. The meeting - arranged some months ago - was at the Gheringhap Street office of David Koch (MLC). ABCA had asked to talk to Minister Guy about the proposal in the Liberal/National Coalition's election manifesto to create a series of 'Planning Statements', including one for the Bellarine Peninsula. In particular, ABCA wanted to know whether the creation of the Bellarine 'Planning Statement' would feature input from local communities and the Minister confirmed that there would be. The ABCA representatives then explained the ABCA's particular significance as the only democratically elected and accountable body representing all the communities on the Bellarine. They highlighted the lack of such democratic accountability in other local 'community groups' and emphasised the positive role that ABCA could play as a conduit (alongside City of Greater Geelong Councillors) for the exchange of information and ideas between the state government and local people. The Minister thanked the ABCA representatives for their time and for their views. He said that his office would be in touch at the time when the Planning Statement for the Bellarine Peninsula was being written, but he didn't know just when that would be.